Discover your creative, artistic abilities designing various hair styles and nail art. 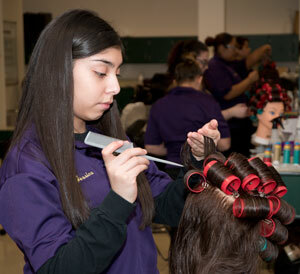 Prepare for an exciting, rewarding career working in a salon or spa atmosphere. 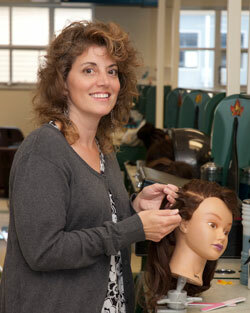 Imagine yourself as a world renowned haircutter/hairstylist in your own salon or teaching other stylists. Receive a State Board of Cosmetology license upon completion of the state mandated 1,250 hours and the passing of state boards. I am a graduate of Muhlenberg High School and Reading-Muhlenberg Area Vocational Technical School, Randy Rick Beauty School, Kutztown University, and Temple University. I have been a Girl Scout leader, Bible School teacher, and hairdresser. 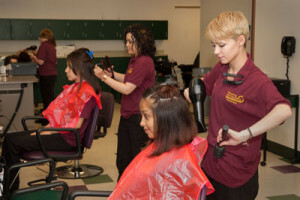 PA Cosmetology Teachers License, Elementary Education, and numerous certificates relating to education and behavior intervention. I owned a beauty salon and have been an instructor at two cosmetology schools. I also have taught elementary education and have been an early intervention specialist. As a graduate of RMAVTS, I was happy to return as a teacher. The sharing of my knowledge and observing the minds and talents of my students are the most rewarding parts of my job. I enjoy watching students grow in their skill development and their determination to succeed. Networking with other CTC cosmetology instructors helps to keep me up to date on the latest trends and teaching techniques.